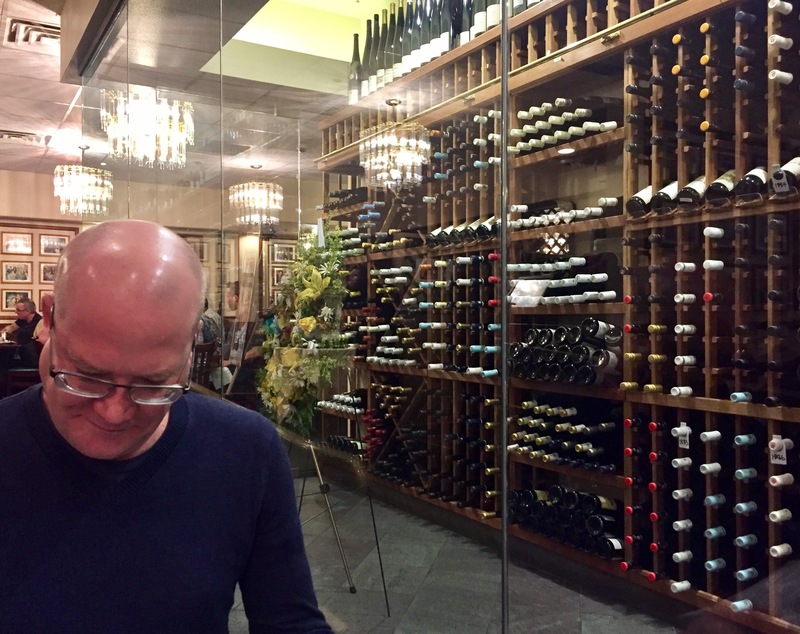 Since we’re not gamblers, and didn’t really have any time for significant sightseeing, when Rob and I learned we were coming to Las Vegas for three days we naturally started planning our culinary choices. The Vegas strip has no shortage of high-end meals, as well as a plethora of hotel buffets, and the usual fast-casual national chains. But we also knew there certainly must be places off-strip, small restaurants locals went to, that were also worthy of a visit. 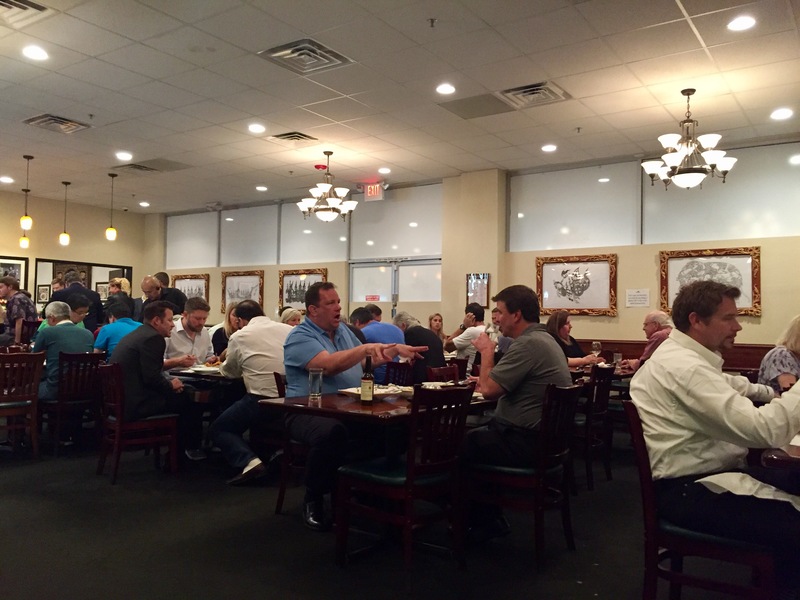 Lotus of Siam is one of those places. 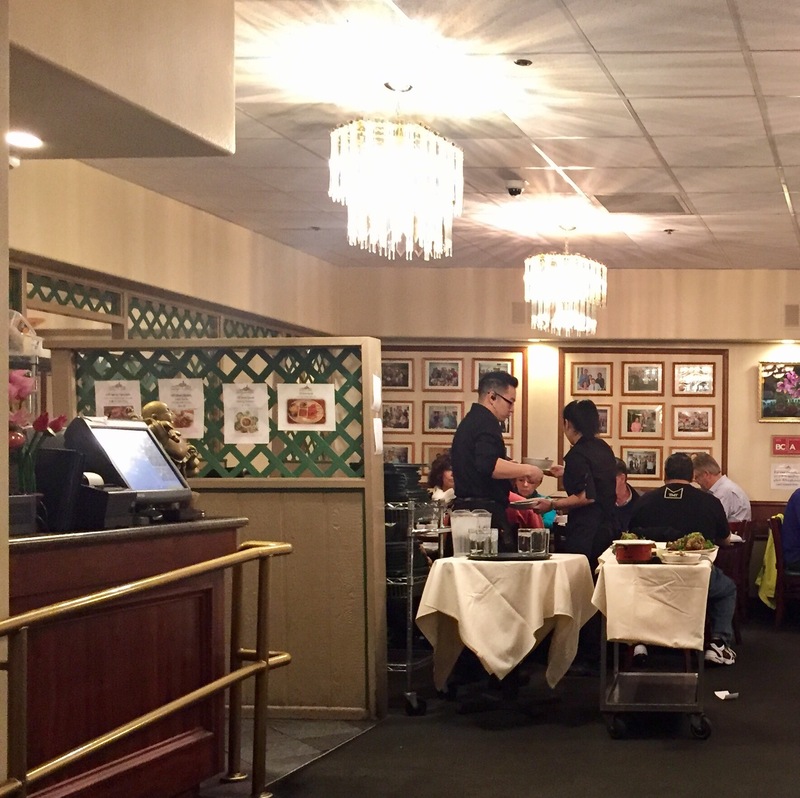 Located in a nondescript strip mall about a 15 minute drive away from the neon lights of Las Vegas Boulevard, Lotus of Siam looks like any other Thai restaurant from outside, and even inside. That is, except for the MASSIVE wine cellar. That wall of wine was three times what you can see in the photo. 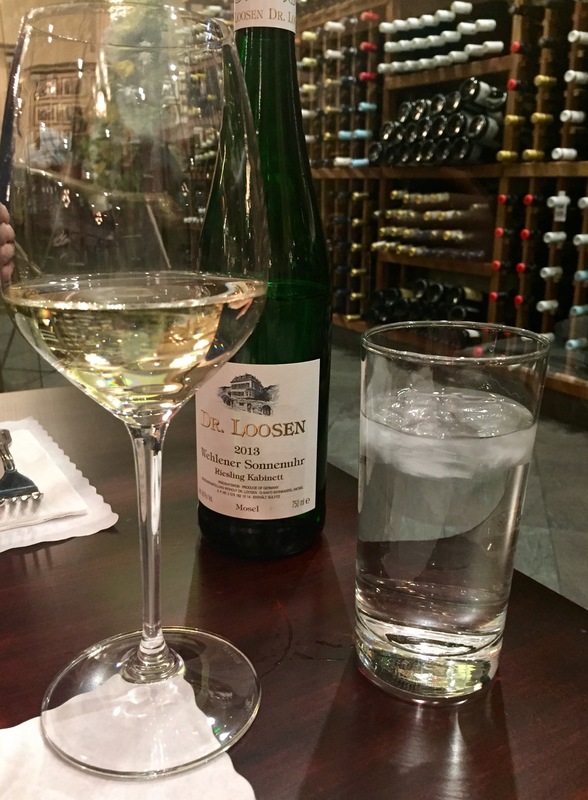 And that wasn’t all of the wine–there were other areas in the restaurant with more. This should clue you in that you’re in for an above-average meal. 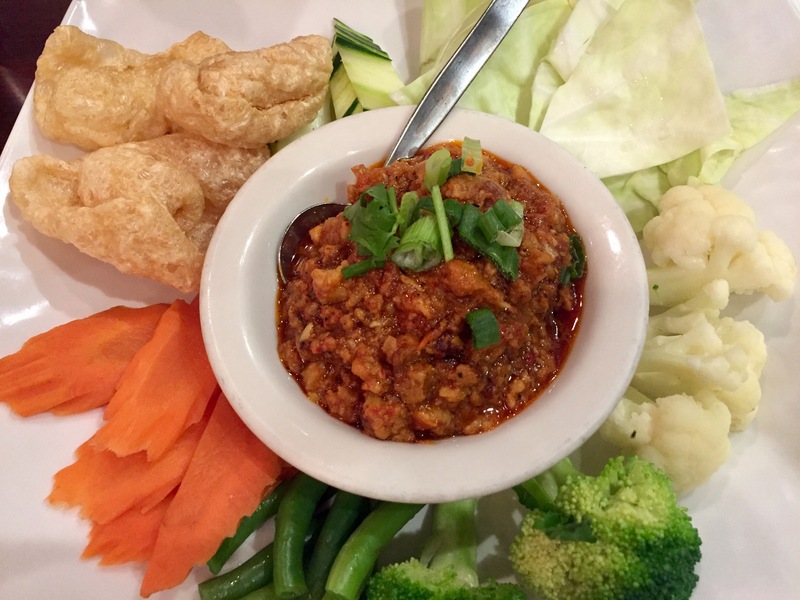 We started with Nam Prik Noom, a very spicy chili dip served with crisp vegetables. Absolutely addictive. 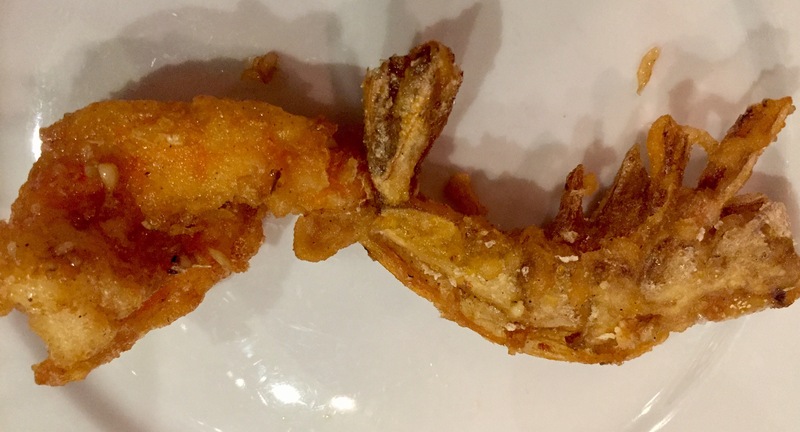 We then ordered the (deservedly famous) crispy Garlic Prawns, fried with the shells which become like potato chips. 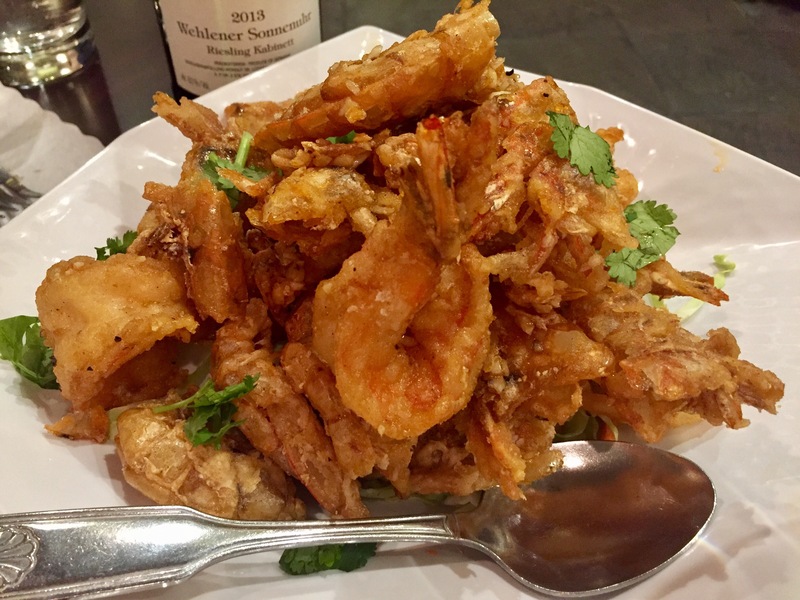 Garlicky, shrimpy, also addictive. 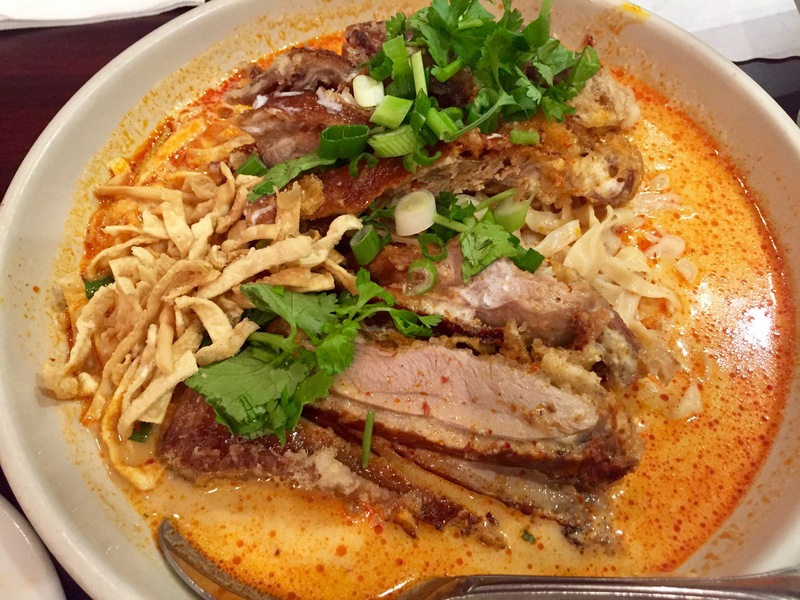 For entrées, I ordered Duck Khao Soi, a northern Thai specialty. The perfectly cooked duck rested on a bed of al denté egg noodles, and the sauce was rich with coconut milk, but still savory and well balanced. 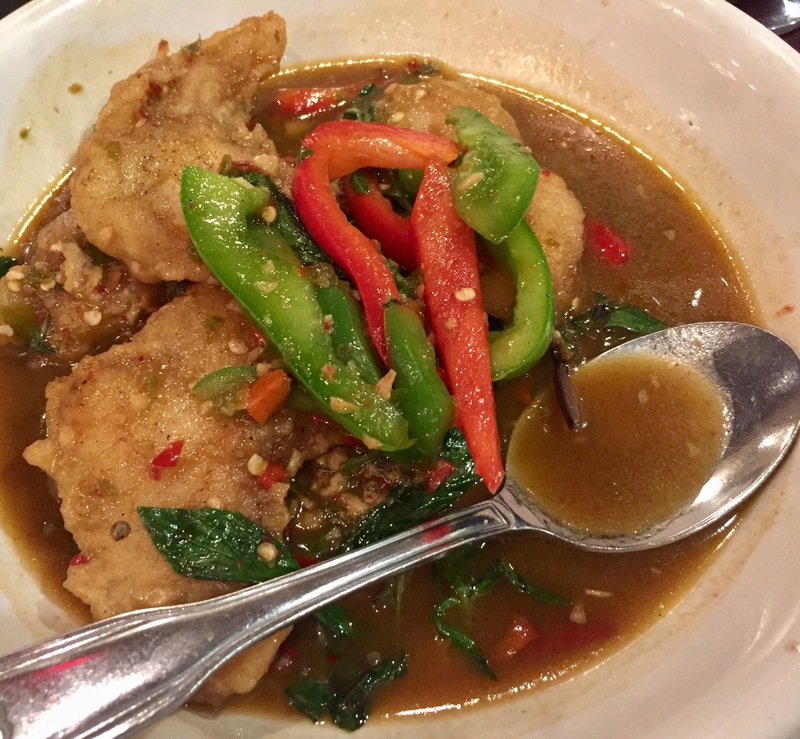 Rob got a catfish dish in a bright and spicy sauce of lime, chilis and basil. Oh, and back to that wine. The list was like nothing I’ve ever seen, especially in a Thai restaurant. It was a three ring binder with wines from around the world, and at least a dozen pages of German Rieslings, grouped by region. A bit overwhelmed, I went with a name I knew, and it was delicious with the spicy food. Overall, a spectacular meal. 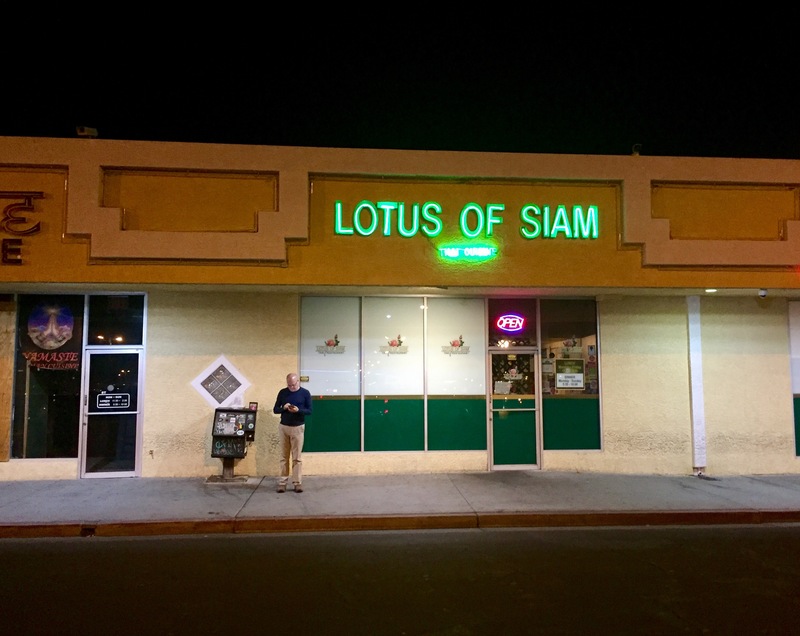 If you’re ever visiting Las Vegas and really like Thai food, Lotus of Siam is definitely worth the taxi ride. Be sure to make a reservation.